I manage with my husband his family farm and dream one day we would have our own land and farm . we are a family from Kuwait with 3 little ones , and a turtle named Tickle , with a farm in Kuwait raising Camels , Cows , Sheep , Chicken , Ducks and seasonal growers of some vegetables . 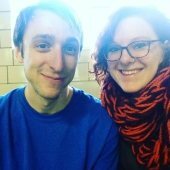 Minnesota Couple Moving to Asheville! hope you have a blast in Asheville ! We are a group of 10 inspired and full of energy humans disembarking on a path of settling down and creating our vision. We have been traveling around learning natural building and permaculture skills for 3-4 years now, and its time to get our own land and start practicing. Does anyone here have any good recommendations of places in the appalachia region where (1) land is cheap, (2) close to progressive city hubs, (3) has 4 seasons, (4) no fracking around, (5) beautiful land? Any suggestions or comments are appreciated. Some of us grew up in the midwest, but have mainly been in Europe and Oregon for the past years, so we are now a bit unfamiliar with this region. Much love you great people! Hi wondering about the update of this thread .. did you find a location ? Struggling in choosing a career. I want to get out of debt and have a permie future. You seem like you're gonna be a great entrepreneur . a REBEL even ( in a good way ) . 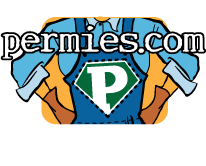 Did you check Permaculture Artisans ? Erik Ohlsen started it small , volunteering , working with his hands and now he's making millions . If you love growing / farming / permaculture , how about investing your time and energy into that . money will definitely come . I discussed this with my husband and he had a name for it . its called BOT ( build , Operate , Transfer ) for a certain period of time and with No Rent fees to pay . I don't know I am just throwing this in the air ! I am a non US resident , and would like to participate in this , if you all don't mind. I have a little saving and land in where I live is too expensive. I went looking into land in Europe , and UK and now USA just to invest into even an acre or so , for personal investment . Can I be of any help in the Permie Development or Circle ? would permies accept working off on a land , that a non resident owns and doesn't live on ? What are the benefits to both sides ? and what are the negatives ? Hi ! I am not from the area ( from Kuwait ) , but visiting this March to visit friends in NC .. I looked closely at the area & I would recommend starting with wind barriers. then identify zones on the site. mapping current patterns of activity , which can later be re designed for efficiency . plan where your building , if any , will be ; which then is called zone 0 . and what goes closer to it , zones 1 , 2,3 etc Zone 1 would have the most gardening . Zone 2 would perhaps have soft fruit trees , small animals etc. maybe zone 3 will be a commercial production area , and orchards . A study of areas more prone to flooding , areas prone to frost , can also help indicate the structure of the buildings and zones . Keep working with plant diversity or plant guilds . it won't be cheap but at least start somewhere . Corrie Snell wrote: I went poo-less two years ago. I am a female with long, wavy, thick hair and washing my hair had always been a chore for me. Even with shampoo, I'd cut it back to once every ten days. At first, after going poo-less, I just went as long as I could stand it before "cleaning" it with baking soda and then an apple cider vinegar rinse, which was about a month. I typically only brush my hair once per day, and also tie my hair back and keep it dry for my "daily-ish" shower. It was really greasy and icky looking at about two/three weeks, but then seemed to improve in that respect for the fourth week. So, for about a year and a half I did it that way, "cleaning" once per month. At one point, my mom told me that I smelled like I had been riding a horse all day. Gee, thanks. I'll add here that I also eat a 80/20-ish Paleo diet. Diet, I think has a big effect on skin and hair. This was mainly on (very hard) well water in arid NW Montana and city water in NW Washington. After doing this for many months, my hair stylist told me that I had a build up on my hair. Is that a good thing? Bad thing? I don't know. I think my hair isn't as shiny, unless I put oil on it. Since living in Morocco the greater part of the last 7 months, though, I've been using Rhassoul (or, Ghassoul) clay to clean my hair, and I like it much better, as baking soda was always a bit harsh and left me dry and flaky the first few days after "cleaning." I mix the super light, fine powder with warm water or a mix with oil if I have it (coconut or Argan, another traditional Moroccan beauty product) until it's slick and has a fabulous texture that makes you wish you had a whole tubful of it to plop into and wallow in. In the shower, I slick it on wet hair at the root end, and then wet the hair more to help make it easier to work it in and scrub my scalp with my fingertips. I leave it on for a few minutes, then rinse. Afterwards, I put a teaspoon or two of oil in my palm and rub it between my hands and then through the drier areas of my still wet hair, at the ends and middle-outside. I can buy a little box of it here for $1, and it lasts me about 4 washes, which I do every other week in this more humid and therefore more greasy climate. I guess that's not the cheapest, but I probably use more than I need, and again my hair is long and thick. I looked up a source online for buying it in the U.S., and found it for a reasonable price in a very large quantity from a spa supply company, as in salon/spa. In Morocco, we're on city water. I can't say that I have seen a complete turnaround in the health of my hair or scalp. It's more or less the same. Although, now that I think about it, I guess breakage and split ends have improved by 50%. But, I won't be going back to poo and conditioner as the issues I still have can probably be attributed to the times I eat grains or dairy. My husband has short hair, no longer than 3", and quit using shampoo years ago. He is a daily showerer, and even multiple times per day based on activity (blessed with skin that doesn't dry out...unless living in Calgary). His strategy is to just give his scalp a good scrub with his fingertips, and a good rinse in the hot water. His hair always looks great, to me. The times that it does happen to be shampooed, at the barber, it looks "fluffy," and he doesn't like it. I also gave up soap almost two years ago. I use a clean wash cloth at each shower to scrub my face and p&p's (pits and privates), but the rest of my skin just gets a rinse. Every other week or so, I do a good scrub of my entire body for exfoliation. This soap-less ness is going even better than poo-less ness for me. I still feel just as clean after my showers as I always used to. In a humid climate like here in coastal Morocco, or in NW Washington, I don't need lotion, but in winter in Montana I still needed lotion. I've tried all sorts of things, including ingesting coconut oil, and using it as a lotion...never great results. It's frustrating, because you read so much about how coconut oil is a miracle product, but it actually made my skin feel even MORE dry. I don't know how that's possible. I have a whack-a-doodle theory, though. I know a person from the Philippines who swears by coconut oil for the gorgeous health of her skin and hair. I assume coconuts grow in the Philippines. Maybe her skin is adapted to using the local products. Being of German heritage, perhaps I should try lard? Now on to deodorant. I stopped using conventional deodorant about 8 years ago. For 6 of the years since, I used the solid salt crystal stuff in the pink tube, and liked it very much, until I read that it might not be the healthiest choice either. So, I just stopped using anything at all. Now, I'm all over the place. I can get super stinky super quick, or have virtually no b.o. for a good 36 hour stretch without a shower. Different times of the month, different diet, stress sweat (definitely an issue), I think are all factors in why sometimes I get stinky faster. I had hoped that a smear of lavender oil under the pits would kill those bacteria...didn't work as well as I'd hoped. Googled other options a few months ago, and found that a lemon slice rubbed on fresh skin does the trick (NOT if you've just shaved! ), and I'm happy to report that that has worked for me very well, unless it's stress sweat. I'm going to look into those leaves from Kuwait, though! William James wrote: In case it hasn't already been linked, these people are selling bottles of sweat-eating bacteria for 50 bucks a pop. AOBiome. I'd link, but I don't really want to promote them. Google it. ps: there's also the MIT engineer who hasn't showered in 12 years, the inventor of aforementioned bacteria-solution. pps: If you research around him, there are the names of the specific good bacteria that you are washing away with soap. WHAT !! HAHA never heard of anything like that before! thanks for sharing William ! the good thing is we use it from the Ziziphus trees on our own farm just outside the house. Thicker , healthier hair , smells great and cools up the scalp in the middle of the summer heat ! Chris Badgett wrote: Hey Bash. I went to college there @ ASU and recently sold some land and a house I built on it on the edge of Watauga County. Let me know if you have any specific questions about the area. I can also put you in touch with some good realtors and property managers if you like.